For Europe, 2007 is a jubilee year 100th anniversary of the Pentecostal movement rise on the European continent. 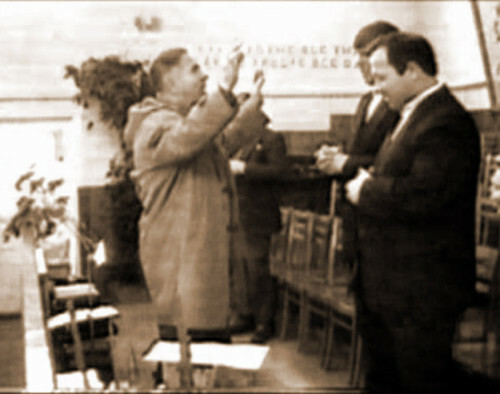 Though the Pentecostalmovement is the youngest one among all Christian denominations, it quickly outnumbered them and became second after the Catholic Church. All these things confirmthe words of the Lord Jesus Christ: «But you will receive power, when the Holy Spirit comes upon you, and you will be mywitnesses in Jerusalem, and in all Judea and Samaria and to the ends of the earth» (Acts 1:8). Though there are some indications thatthe Pentecostal movement came to the south of Moldova in 1923, it is impossibleto track its expansion during those first days. 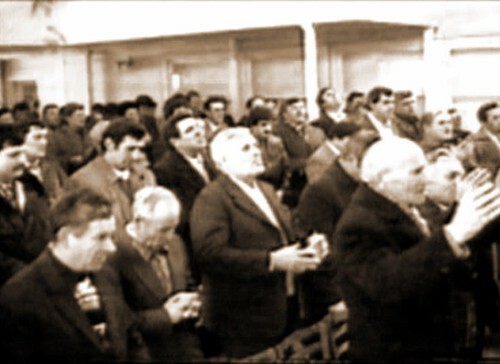 But, starting with 1945, the Pentecostalmovement started to quickly spread all over the territory of Moldova. Thanks tothe consacration, active work and help of the Holy Spirit, our predecessorspreached the Gospel, and the Lord was building His church adding the saved toit. By the time the freedom came, on theterritory of Moldova, as an independent state, there were 67 Pentecostalchurches, which, owing to different circumstances, were in five different unions/fellowships.The new times brought new opportunities and requirements for ministry. Thisresulted in revision of further cooperation between all the Evangelical FaithChristian Churches of Moldova in new conditions. Thus, on December 12, 1992, asa result of hard work of unions/fellowshipsleaders, took place a general conference of all EFC churches of Moldova, where the unity of EFC churches in Moldovawas proclaimed and the EFC ChurchesUnion was founded. On the same day, the Council of EFCC Union withrepresentatives from all the unions/fellowships was elected, and Petru Borsciand Victor Pavlovski were elected as Senior Bishops of the EFCC Union. On February9, 1993 the government of the Republic of Moldova had officially recognized thePentecostal movement and the Statute of the EFCC Union was registered. The elected leadershiphad a lot of work ahead in the area of consolidating cooperation and forming thestructure of the Pentecostal Union. So, during the following three years, a lotof work had been done in this direction. The regional structures were formed andtheir leadership was elected. An important event during the process of formationbecame the acquisition of a building in Chisinau, str. Trusheni 18, for theoffice of the Pentecostal Union, whose dedication took place on December 11,1993. During the inauguration of the firstoffice building it was proclaimed by the Holy Spirit that God would bless thework of the Union and this office will become too small for efficient ministry.Exactly nine years later came the need for a bigger headquarters, and God helpedus buy an unfinished building, whose construction was completed in four years, andon July 29, 2006 it was dedicated to the Lord as a Spiritual Center of the Pentecostal Union of Moldova. The vision of the Evangelical FaithChristian Churches Union is extended in three directions: (1). Evangelism andmissionarism. (2). Training and education.(3). Social assistance. For this purpose there were founded various departments,which carry out this activity in accordance with requirements of time andstandards of the Holy Scripture.